Time to get back to some regular posts. I think it is fair to say that my summers and falls get very busy, and it does become very difficult to find the time to research and write posts. For the most part this is done in my free time, but there are times where there is overlap with paid work (such as coming across memories of the Hindenburg being seen over Logy Bay-Middle Cove-Outer Cove), and trying to find more information about the 1956 crash which hit a home in the area (still working on getting the crash report for that site). Now that the tourism season has ended, and my contract at the museum is up, it’s time to turn back to research. 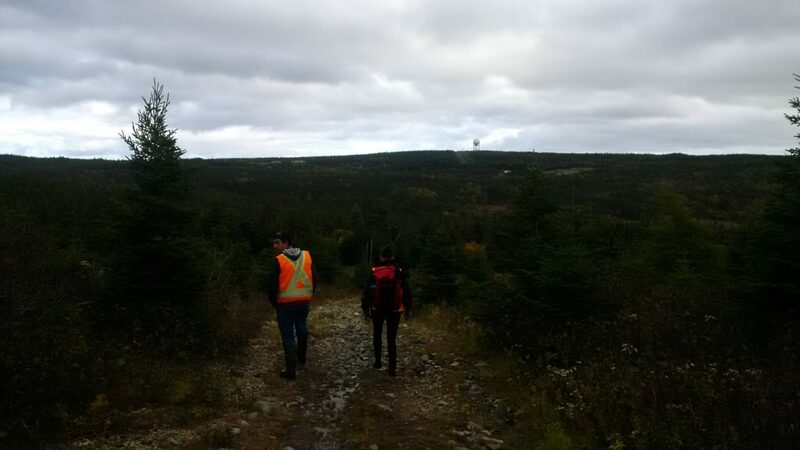 In October, I was asked to do an archaeological-style survey of a site for the town of Portugal Cove-St. Philip’s. The town has kindly allowed me to share my findings with my readers. At 9am on Friday, 23 June 1978, a Gander Aviation Ltd. Beechcraft 80 took off from Torbay Airport en route to St. Anthony. This aircraft was one of three carrying members of the National Historical Sites and Monuments Board and local officials who were to attend a ceremony in L’Anse aux Meadows. Included on this flight was William (Bill) Manning, the mayor of Torbay and the area superintendent of Historic Sites of Newfoundland and Labrador. Soon after departure, the aircraft informed the airport that it was at 165m and climbing to 1900m. Moments later, the emergency locator transmitter activated, indicating a crash. Locating the crash was hampered by thick fog in the area, and the crash was located by a search and rescue helicopter at 11:45am. According to Captain Walter Chipchase of Halifax Search and Rescue, search and rescue efforts were hampered by thick fog. Paratroopers could not be immediately dropped on site due to the thick fog and zero visibility conditions. Search and rescue had to wait until the fog lifted before they could land the helicopter and reach the site. All ten crew and passengers were killed in the crash. On board were pilot Gerald Eichel and co-pilot Michael Fitzpatrick, both of Gander, Signal Hill Park superintendent and Torbay Mayor, Bill Manning, national board chairman Marc Laterreur of Quebec, Ontario board member B. Napier Simpson Jr., Manitoba board member Robert Painchaud, New Brunswick board member Jules Leger and his wife, Jacqueline, and board assistant secretary Brenda Babbits and her husband, Alex. Inside a section of aircraft, Photo by Shannon K. Green 2016. 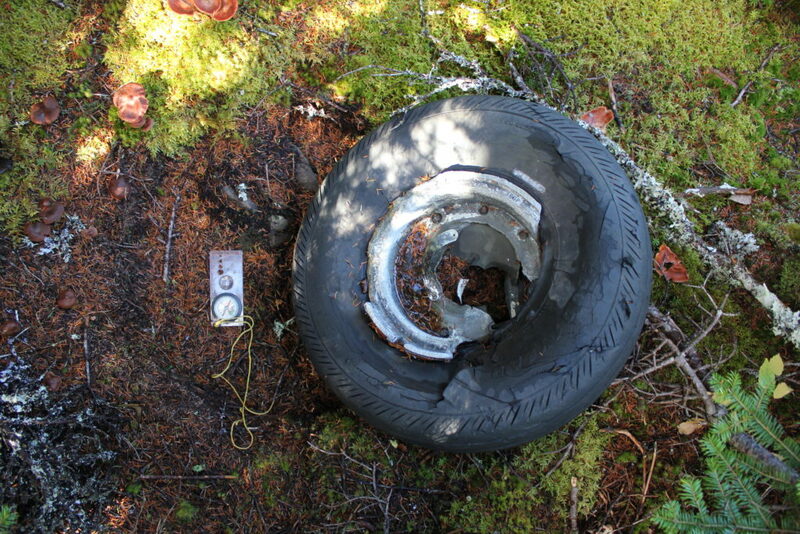 Investigations continued for a number of weeks, and wreckage was recovered from the site. 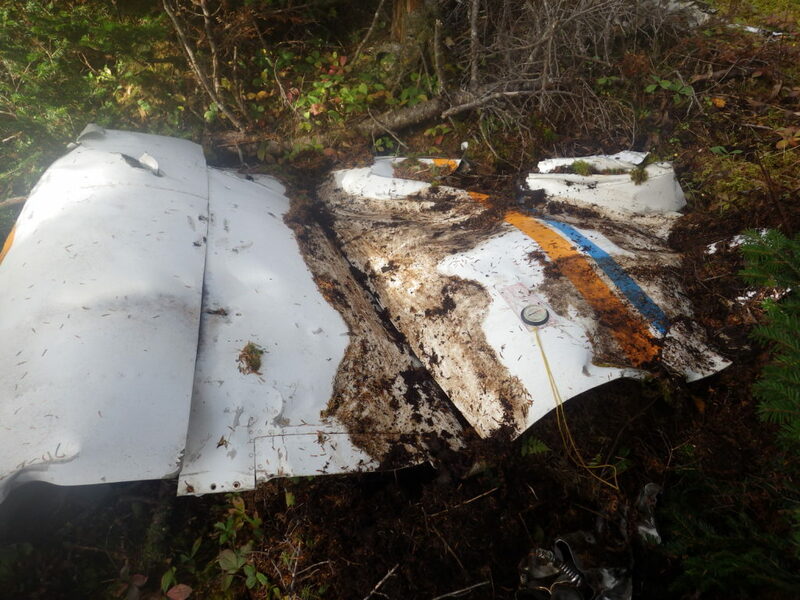 According to Chipchase, the aircraft was on its flightpath at the time of the crash, but many rumours suggested that the aircraft was turning around to return to the airport. Newspapers at the time reported that the aircraft had turned around in the fog and was returning to the airport before the crash happened. This story has become the most commonly mentioned cause of the crash. It is dominantly based on photographs shared by the newspapers which stated that the tail indicated that the aircraft was returning to the airport. Owner and operator of Gander Aviation Ltd., Bill Bennett, contacted the Evening Telegram in an attempt to dispel these rumours, but they persisted in the media coverage. According to Bennett, the pilot, Gerald Eichel, had a year and a half experience, 622 hours flying Beechcraft and 4900 hours total flying time. Image of the tail section as published by The Evening Telegram in 1978. There has been some debate as to the cause of the crash. The accident report was not available at the time of this project (even in 2003 when the local newspaper, The Telegram, went looking for the article they were told that due to the changes that had happened to the various organizations responsible for safety and aviation it was a difficult document to find), and from the time of the incident there were varying reports. In fact, after investigating the site, there is little evidence to suggest that the pilot decided to turn around (without informing the airport) as all of the aircraft is concentrated on the airport side of the ridge. The fact that the tail of the aircraft was turned in the other direction does not indicate that the aircraft turned around as during a crash sections of the aircraft can turn in any direction due to the force of the impact. The view from the ridge overlooking the wreckage. Photo by Lisa M. Daly 2016. 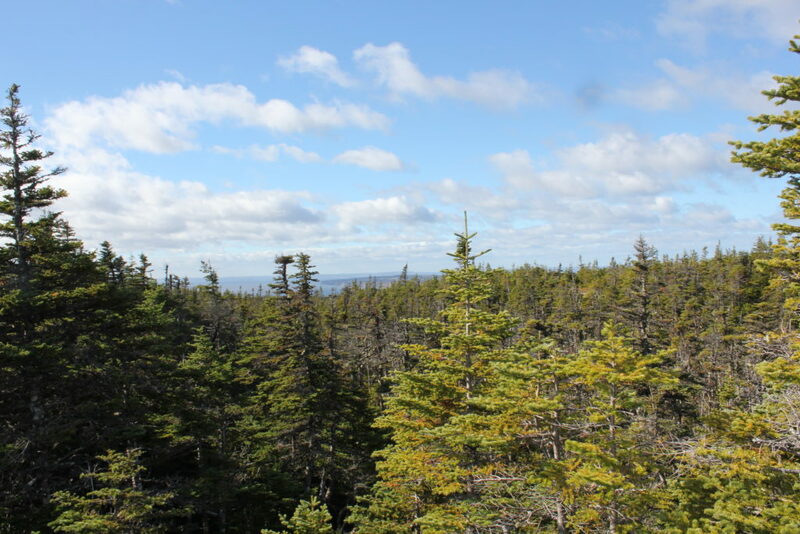 This site is relatively well-protected as it is only accessible through private land. 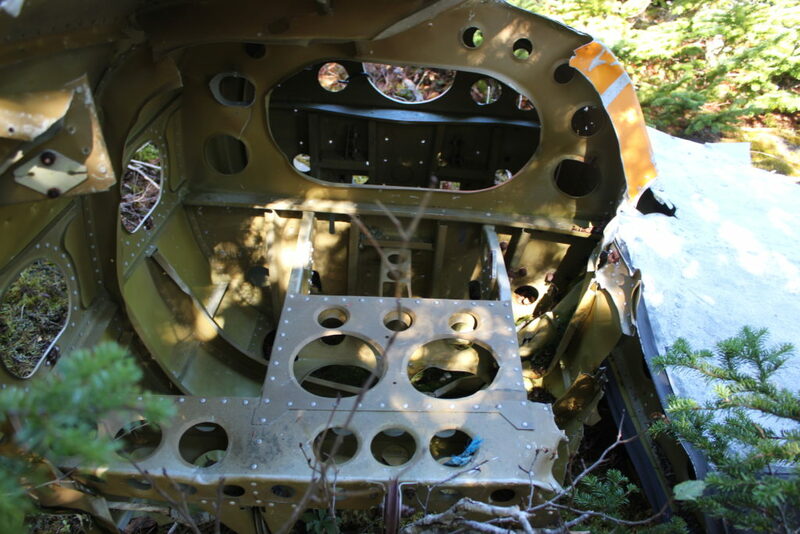 The land-owner is very protective of the site, and tries to limit access to anyone who might damage the remains of the aircraft. We were granted access only after ensuring we were not going to remove anything from the site, and were recording the site for future reference and preservation of the site as a memorial to those who were lost. Even with this, there has been damage to the site over the years. 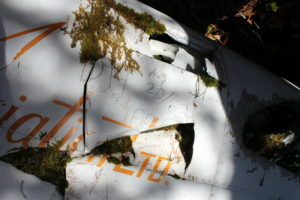 There is some graffiti on the largest piece of fuselage, most of which dates to the early 1980s. 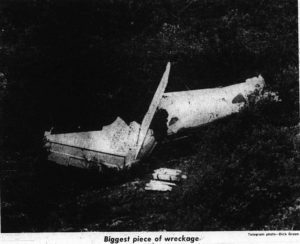 The tail has also been further damaged than what can be seen in the 1978 The Evening Telegram photograph. 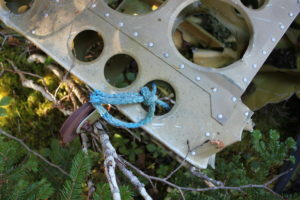 As well, rope was tied around part of the tail (the rope has since been removed, don’t want to make it easy for anyone to remove items) possibly indicating that someone attempted to pull it away from the site. The 40th anniversary of this crash will be in 2018. The town of Portugal Cove-St. Philip’s plans to memorialize this site for that anniversary. This investigation was an early step in the memorialization and preservation of this site to honour the ten souls lost in this incident. 1978 No Survivors as Place Crashes Near City. The Evening Telegram, 99(71):1. One file at A.C. Hunter Library. 2016 ASN Wikibase Occurrence #31576. https://aviation-safety.net/wikibase/wiki.php?id=31576 [accessed 25 October 2016]. 2003 Leslie Harris Recalls Leaving Doomed Plane. The Telegram, 124(355). On file at A.C. Hunter Library. 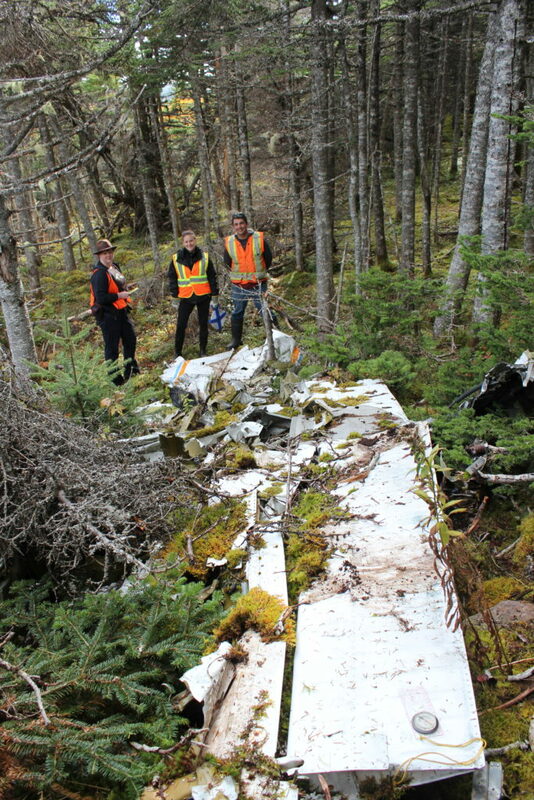 2016 Survey of the 1978 Beechcraft Crash Site Near Bauline Line. On file at the Town of Portugal Cove-St. Philip’s. 1978 Crashed Aircraft’s Owner Says Remark is Misleading. The Evening Telegram. On file at A.C. Hunter Library. 1978 8 Prominent Historians Died in Plane Crash. The Evening Telegram. On file at A.C. Hunter Library.